Kush n Cheese from Dinafem are feminised cannabis seeds that are originated by crossing the Emerald OG Kush x Old School UK Cheese. This has resulted in very nice cannabis plants that contain mainly Sativa genetics. Dinafem Kush n Cheese are cannabis seeds from a very powerful strain that has a strong and sweet and sour taste. Her yield consists of big solid tops that are covered with a nice layer of THC, this is something that you would really like. When you smoke this cannabis you can expect a powerful stoned feeling. This cannabis strain is not suitable for growers with less experience, she is too powerful for them. Growing cannabis from these feminised cannabis seeds provide you a delicious cheesy kush cannabis. 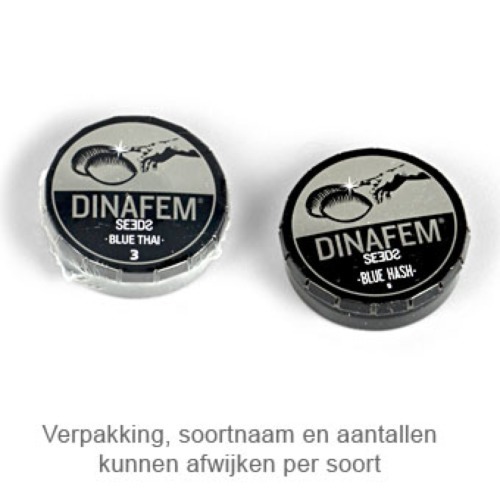 Tell us and our customers what you think of the Kush n Cheese from Dinafem.